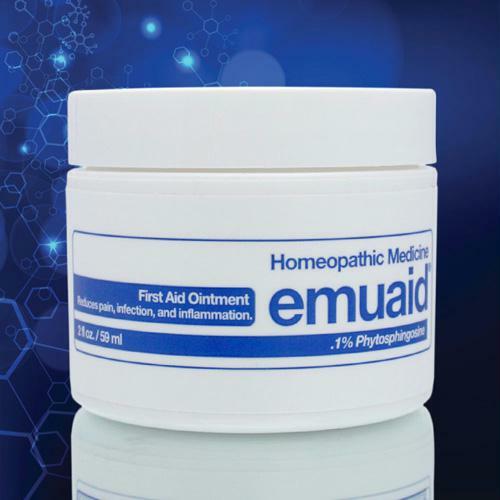 EMUAID is a groundbreaking, scientifically-based, modern homeopathic topical treatment engineered with natural healing ingredients and rare growth factor stimulators that work synergistically to immediately soothe irritation, dramatically reduce inflammation, treat a variety of disorders and heal damaged and resistant skin conditions. 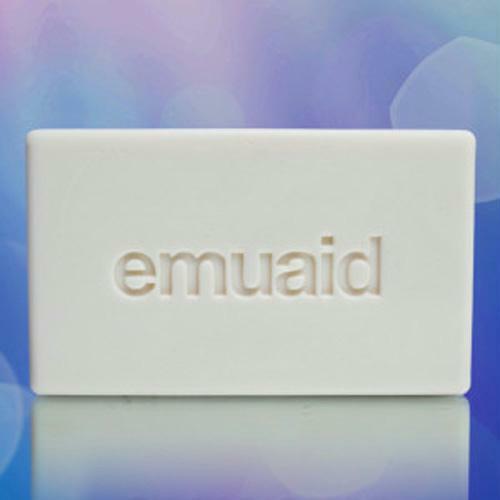 EMUAIDMAX provides rapid relief from difficult-to-treat, resistant skin conditions. 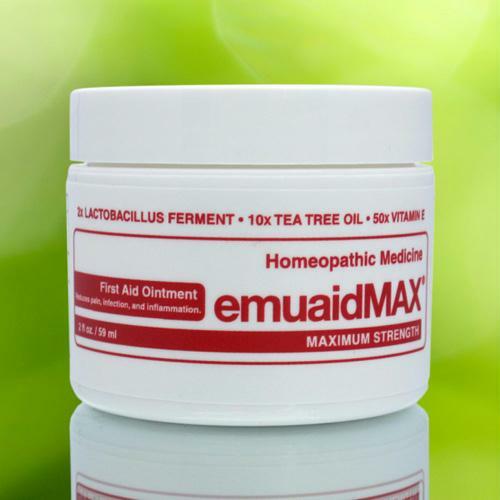 Powered with the highest concentrations of potent natural healing ingredients and our unparalleled delivery system, EMUAIDMAX starts to repair, relieve and restore damaged skin immediately upon application. FREE USA SHIPPING ON ALL EMUAID PRODUCTS!